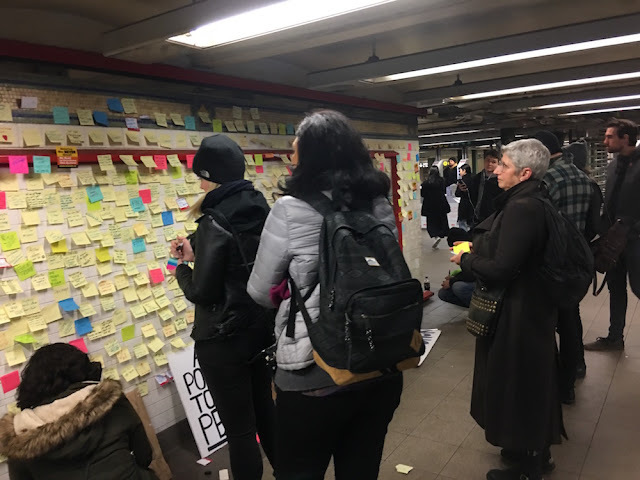 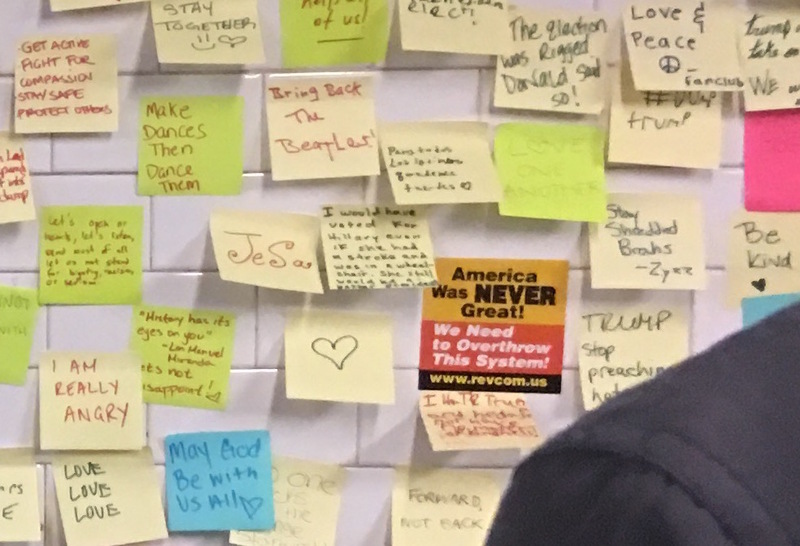 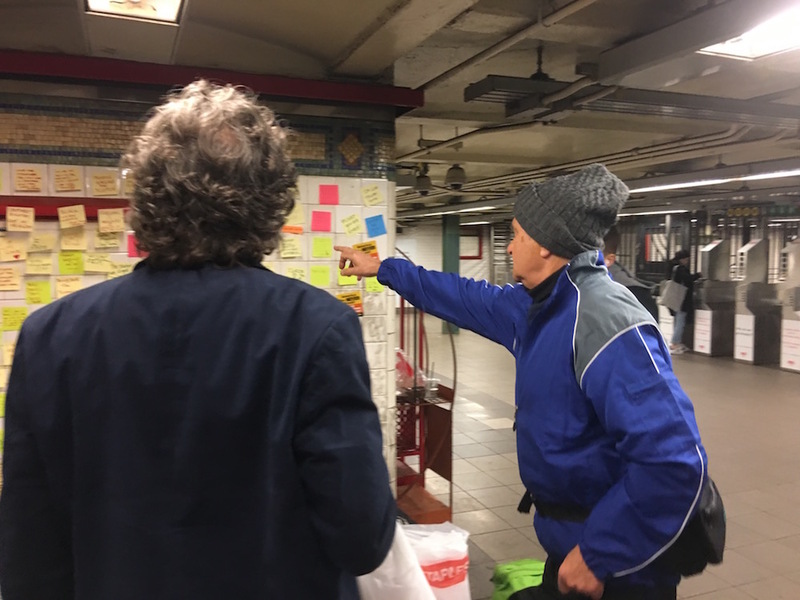 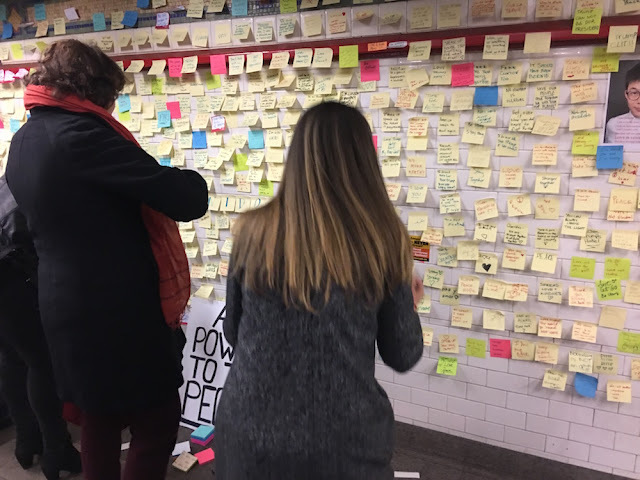 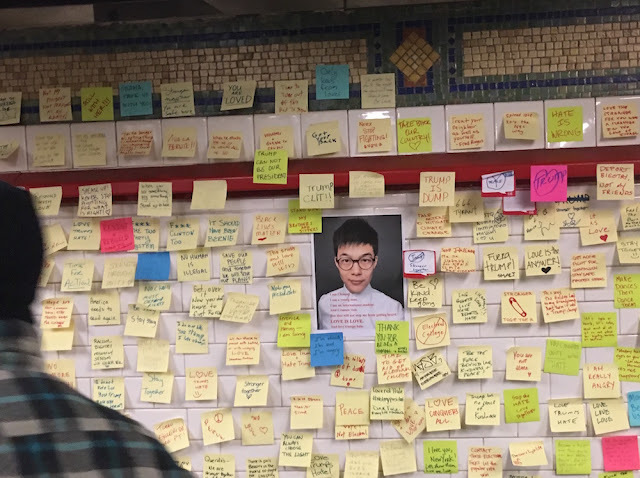 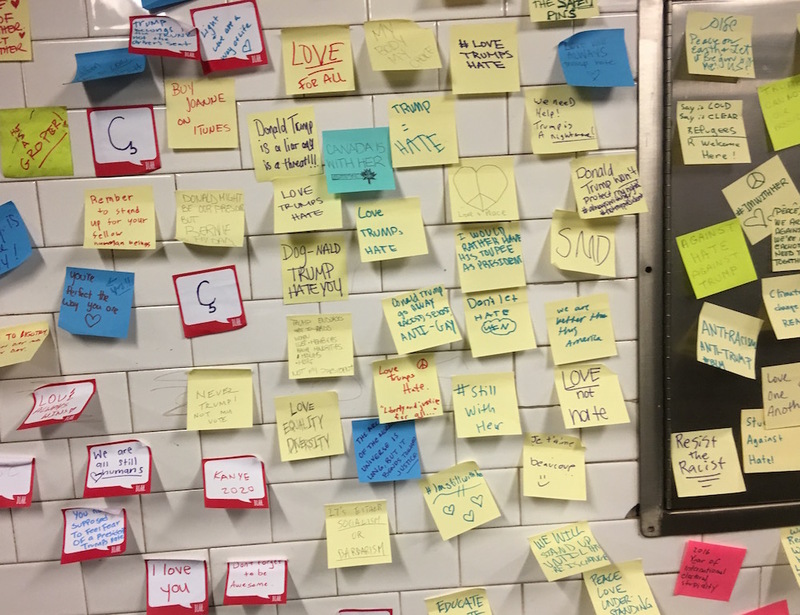 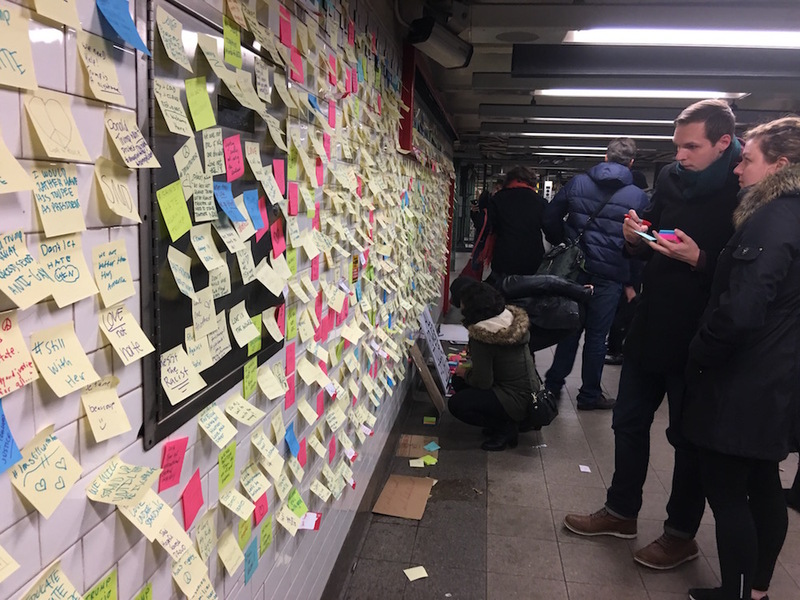 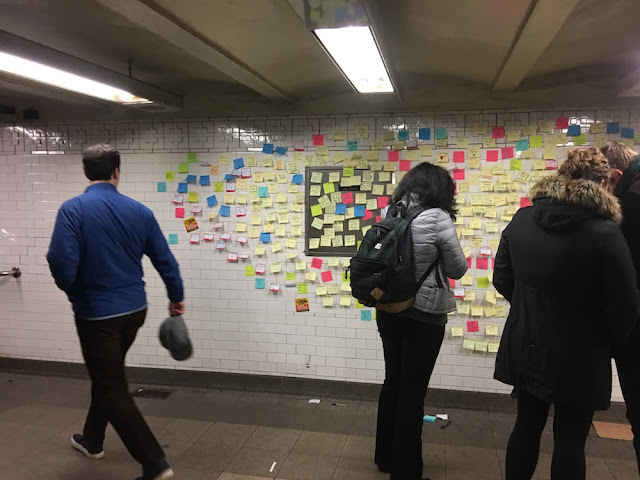 An artist known as Levee started a wall of Post-Its in the underpass connecting the 1 train to the L at 14th Street and 6th Avenue, and it's truly amazing to behold. Levee has been encouraging those who are feeling hopeless after the election to share their feelings by writing them down on a sticky note and adding to the wall. 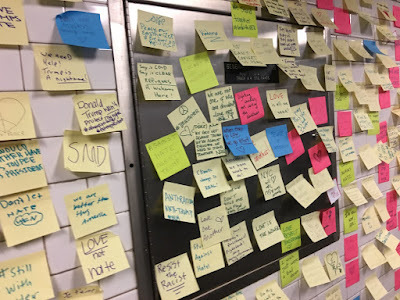 Why are people so dumb and/or lazy? 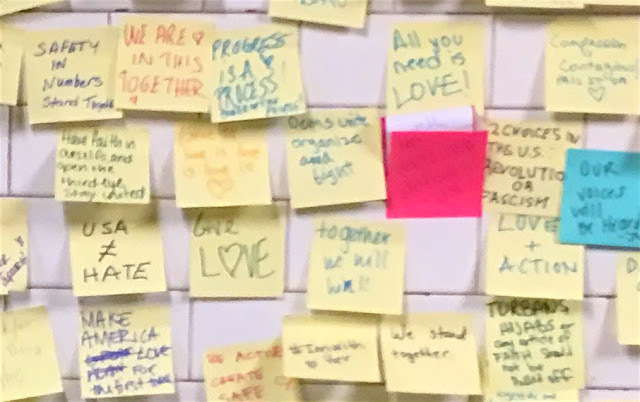 My daughter ran the NYC Marathon!